Vision Without Glasses: A Safer Alternative to Laser Eye Surgery? Kate Swanson writes about mental and physical well-being based on her personal experiences, as well as those of her family. You'd love to throw away your glasses, but Lasik (laser eye surgery) scares you. There is an alternative—orthokeratology. Ortho-K involves the wearing of special lenses at night that gently correct the shape of your eyes while you sleep so you can see perfectly without glasses when you’re awake. In this article, I'll share my experience of this technique. See with the naked eye! Ortho-K is marketed as being ideal for people who can't wear ordinary contact lenses but don’t want to take the risk of Lasik surgery. People who can’t tolerate daytime contacts can usually wear Ortho-K lenses without any problems. Because you only wear the Ortho-K contacts at night with your eyes closed, there's no problem with dryness and no risk of dust and pollution getting in your eye. And unlike soft lenses, the Ortho-K lenses don't absorb the soaking solution, which is a boon if your eyes are sensitive to the disinfecting chemicals. I sounded like a perfect candidate: I have sensitive eyes and although I can tolerate contact lenses during the day, my eyes do get irritated and red-looking, to the point where people comment about it. Since my main reason for wanting to wear contacts is to look good, having bloodshot eyes defeats the purpose. I can vouch for the fact that it works. Even on the very first day, I was able to do without my glasses for several hours. By the end of the week, I was completely free of glasses. It felt strange to walk around and see the world, clear as a bell, without any spectacles on my nose! Why Not Just Have Lasik? When I decided to try Ortho-K, I knew several people who've had Lasik and loved it, but I also knew someone who had complications and had to have a special implant put in his tear duct, as well as a woman who was left with a droopy eyelid. That was enough to give me pause. Of course, there are risks with Ortho-K too. As with anything you put in your eyes, there’s a risk of infection. 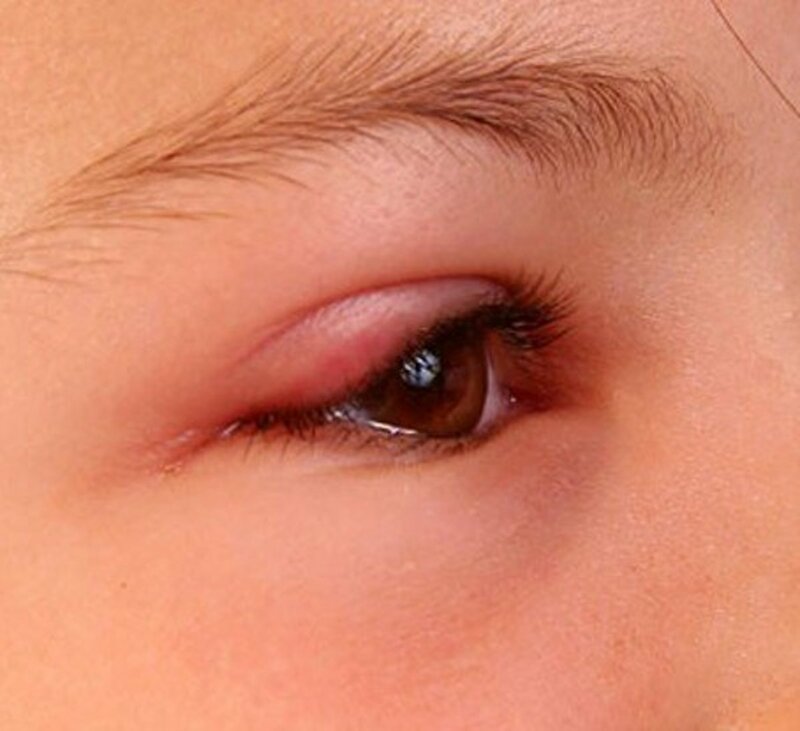 However, it’s lower than the risk with daytime contact lenses, where you can pick up infections from contamination blowing into your eyes, from your fingers if you touch your eyes, or from make-up brushes or pencils. 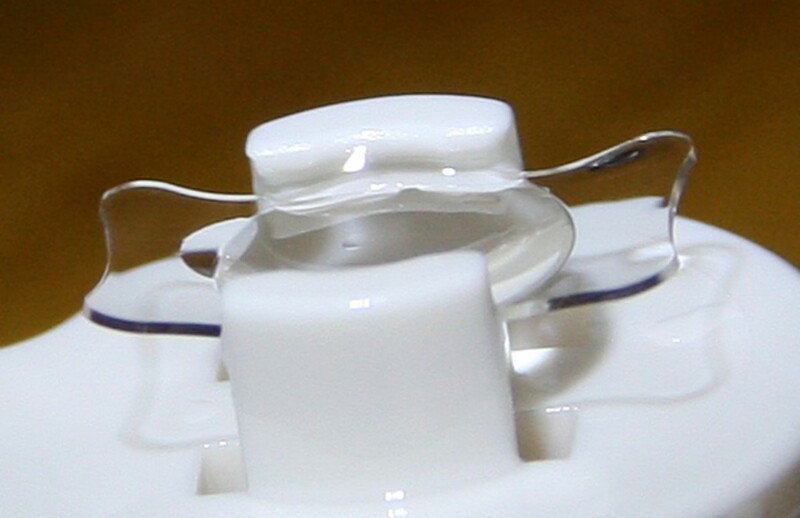 The only risky time with Ortho-K is when you insert and remove the lenses—and that is exactly the same risk that applies to any contact lens. Short-sightedness occurs when the eyeball is too long or the cornea is too steep, causing light to focus short of the retina. The Ortho-K lenses flatten the front of the eye, so that the light hits the retina in the right place – and voila, you can see perfectly without spectacles or contact lenses! Because the reshaping is so gentle, it wears off gradually, so you have to wear the lenses several times a week to keep the eye in shape. How often you wear them depends on the individual - some people only need to wear them twice a week, others every night. I have to confess that when I started Ortho-K, I wondered if I'd made a big mistake. The small, hard lenses were tricky to put in my eye and horribly uncomfortable once they were in. When I tried them in the optometrist's office, I couldn't see a thing because my eyes were watering so much! But then, the optometrist told me to close my eyes and as soon as I did, I realised I could hardly feel the lenses. He also explained that because I would be wearing the lenses for several hours each night, my eyes would get used to them very quickly. And he was right. The first couple of nights, I took several attempts to get the contacts in my eyes. Then, I had to feel my way from the bathroom to the bedroom with my eyes closed because I couldn't bear the discomfort of opening them! And in the morning, my eyes were stuck together with gunk. But while I was lying in bed with my eyes closed, I couldn't feel them and so they didn't disturb my sleep—and within two or three days, I could tolerate them enough to pop them in and see my way to the bedroom without wanting to scratch my eyes out. Soon, I was so used to the lenses, I have even watched a short late-night TV show while wearing them (when I got up for a midnight snack!). I never ceased to be delighted by my daytime experience. To be able to go anywhere and do anything without glasses or even contacts was simply fabulous—especially as I did a lot of swimming in those days. And once I closed my eyes at night, I didn't even know they were in my eyes. My optometrist was mystified, because the vast majority of users get so used to the lenses, they put them in long before bedtime, and even watch TV for extended periods. Some people happily wear them all day, if they happen to miss a night. The benefits were so great, I persevered. I found that I could maintain perfect vision on a two nights on/one night off regime, which helped. But a year later, the discomfort was starting to get to me. So when I was told that one of the lenses needed replacing, I decided not to go to the expense. I do miss those days when I could walk and run and swim without glasses, and I would still recommend the lenses to anyone; just not someone with eyes as sensitive as mine! Where Can I Get Ortho-K Lenses? Paragon Vision Sciences: "CRT (Corneal Refractive Therapy)"
Bausch & Lomb: "VST Process (Vision Shaping Treatment)"
If Googling doesn't lead you to a practitioner in your area, it's worth trying the optometry department at your local university as they are often involved in trials, due to the great interest currently being shown in the orthokeratology technique. At a recent conference, Ortho-K came in for criticism because of the alleged higher risk of infection from overnight lens wear. Personally, I'm suspicious that the critics may have had a vested interest in bagging it (being Lasik surgeons or conventional contact lens practitioners), but let's look at the facts. A higher incidence of infection has been found in studies wearing continuous wear soft contact lenses at night, not orthokeratology lenses. Both continuous wear and Ortho-K lenses are worn at night, but there the similarity ends. Continuous-wear contacts are soft lenses. The risk of infection has always been higher with soft lenses than with rigid ones, because the soft lenses absorb fluid. Get some contaminated water on a rigid lens and you can rinse it off - get some on a soft lens and it will soak it up! If you're of the older generation, you probably knew people who wore the old hard contact lenses during the day. Did you ever have to get down on your hands and knees to find a lens that had been dropped? Nine times out of ten, the wearer found the lens, licked it to moisten it, and put it back in their eye! I would never recommend doing such a thing, but many thousands of people got away with it, because the hard lens didn't absorb the saliva. Try doing that with a soft lens and you're at very high risk of severe infection - as happened to a well-known Australian boxer recently. He lost most of the sight in that eye. 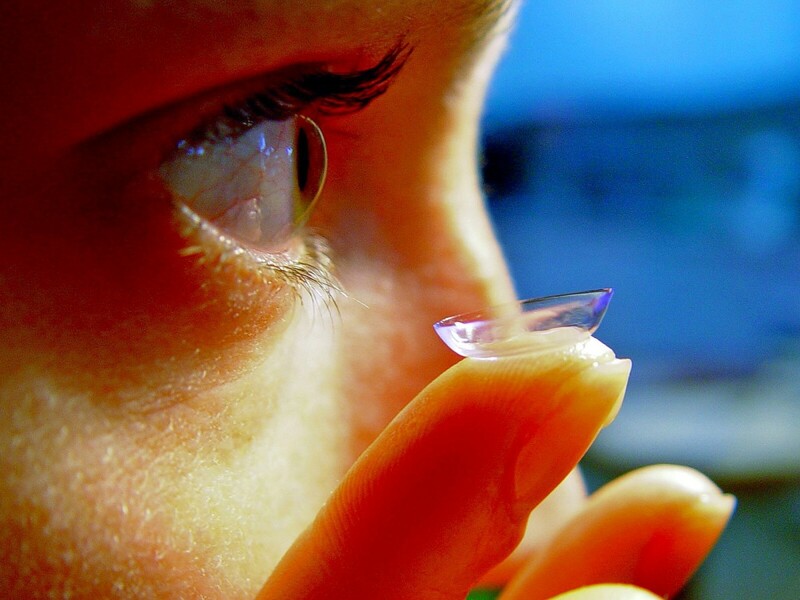 The other problem is that continuous wear lenses are worn for several days and nights without a break. 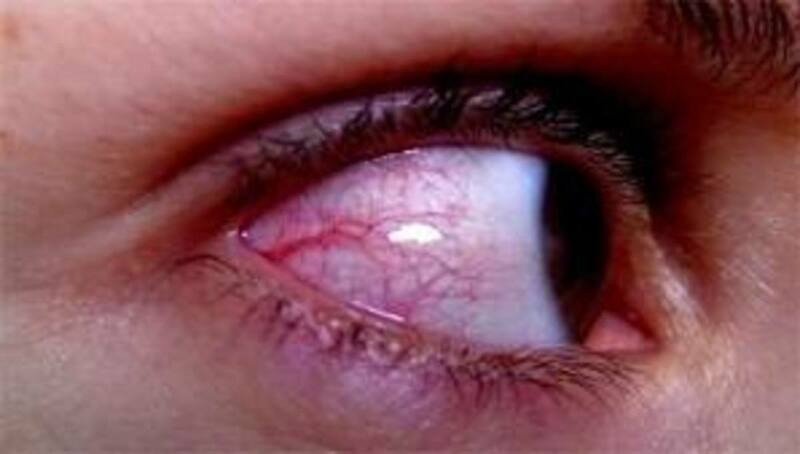 Clearly, if the lenses are contaminated when you put them in your eye, bacteria have days to breed! By contrast, your Ortho-K lenses are removed and disinfected for at least a day between each wear. With anything you put in your eye, it's crucial to be very careful with hygiene, but at this point there's no evidence Ortho-K lenses are any different from daytime lenses. Will this work if you have astigmatism? Yes, this will work with very few and rare exceptions. Correcting astigmatism is one of the primary reasons for this surgery. 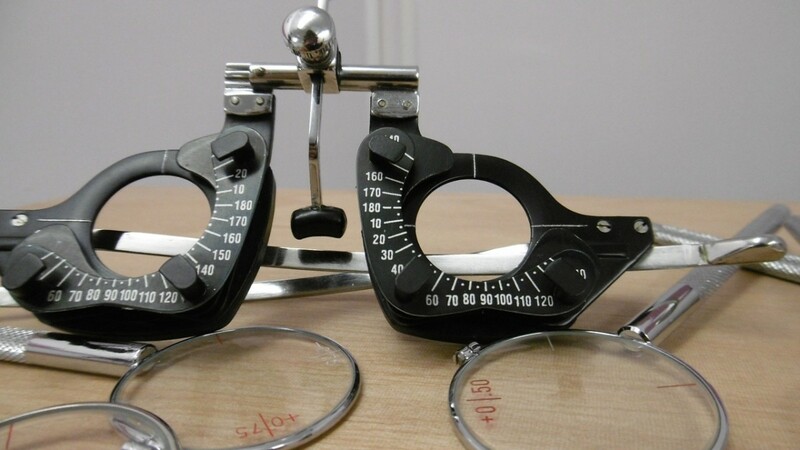 It is also used to correct other refractive errors in the eye including nearsightedness and hyperopia. There is no prescription in the lenses - but that's the whole point. The lenses are reshaping your eye so you don't need a prescription. If the lenses are IN your eye, then they're holding your eye in the correct shape. Once you remove the lenses, your eye will hold that shape for about 12 hours. Thank you for your reply. But would you be seeing through the lenses clearly (like you would with prescription glasses) or is their no prescription in the lenses and you would see things blurry ? The Ortho-K lenses are clear so yes, you can see through them (for instance, if you want to read a book before you go to bed). Very interesting article Marisa. While wearing the ortho-k lenses at night could you see clearly like you would with regular contact lenses with a prescription? Glenn, you've obviously understood it well. Good luck with it! Very interesting. I never knew of OrthoK and I didn't realize that there was a solution such as this for nearsightedness. It's almost like wearing braces to correct the positioning of teeth. Only in this case it's for the purpose of correcting the shape of the cornea. I can understand why it doesn't create a permanent correction, and that the lenses need to be worn several times a week on a continuous basis. 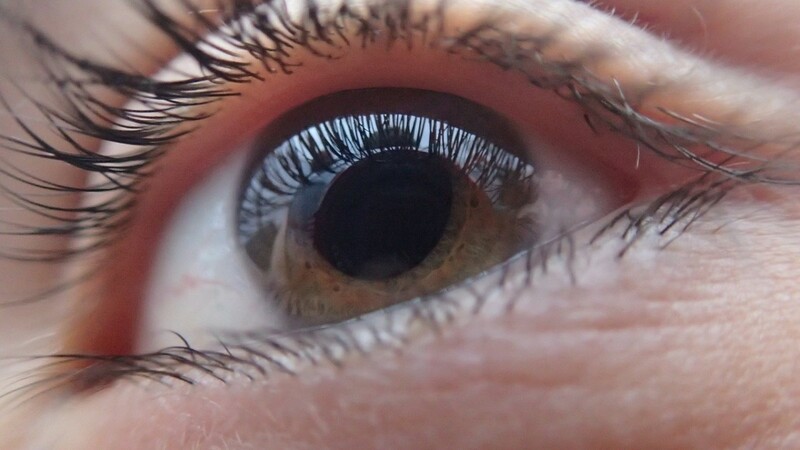 With nearsightedness the eyeball is elongated. So the vision correction attained by wearing these lenses at night is only achieved as a side effect of flattening the front of the eyeball. Despite all that, I would be interested in considering it and I'm going to look further into it. Thanks, Marisa, for writing about OrthoK. I have never heard of these lenses until now so thank you for this very useful information. I am very shortsighted and have stuck with glasses. I would love to one day get my eyes sorted out so maybe one day I will try these if I can ever afford it! Voted up. Thank God never had to try them, but would surely pass it on to my dear friend who can find this handy and full of right alternatives. Keep that up. Gracenotes, there's no need to rush into cataract surgery on the other eye if it's not affecting your quality of life - although you do need to be aware that the cataract will eventually become brittle and easy to shatter, which will make it more difficult to remove completely. My husband got told off for leaving his too long! I found this hub very interesting, Marisa. I am so glad that you are pleased with the OrthoK product. There probably are some people who tend to be at higher risk of infection, but you are surely not one of them. OrthoK wouldn't work for me; I'm far-sighted. After having cataract surgery on my left eye, I had retinal surgery on that same eye for a macular pucker. This happened in April. Within 2 weeks, my vision in that eye went from 20/40 to 20/30. I'm putting off having cataract surgery in the other eye, because it's not causing any problems. Time is on my side, I think. Thanks for your information Marisa. Celine, because you need several appointments with the optometrist, the cost can mount up - but it's much less than having Lasik! Like Lasik, OrthoK is suitable for people who need glasses to see things at a distance. That's called shortsightedness or nearsightedness. "Farsightedness" means you can see things far away, but you can't see things close up - neither Lasik nor OrthoK are suitable for that. by the way how much is this lenses? does it work for farsightedness? Shanelle, the pressure of the lenses changes the shape of the front of your eye, enough to change how the light strikes the back of your eye (at least, that's how I understand it). Thanks for telling about OrthoK. Same as most, I wear glasses but i'm not going to risk my eye health with lasers. I was getting pretty hopeless - I thought I would have to wear glasses for ever! I'm not really comfortable with contacts, but I would definally try this! Do you know how they work? Thank you so much for the compliment, Maraiya, I'm glad I've helped inspire you! Very interesting article. I knew nothing about this. I would be terrified to have the laser surgery. Not very fond of dealing with any kind of contacts, though, even the ones you're talking about. However, I will certainly keep it in mind and maybe try it in the future. I've always worn glasses since I was a child. You write so clearly and grammatically, and there is something about your writing style that I like. It's like you sound so real, so honest, and so very nice. I have just recently become interested in your writings, after reading your hub about how you made money on Hub Pages and your experiences with Helium. I thought this hub was very enlightening and inspiring. I've become one of your many fans today. Will read more of your hubs. This may be worth considering because i have -8 D vision and laser eye surgery seems to cost pretty mutch. Wow that is very interesting. too bad it wouldn't do my eyes any good. :-( but thanks for sharing. Great info! Staci, you make a good point. One excellent example is ulcer medication - an Australian discovered 20 years ago that some ulcers could be permanently cured with a short course of antibiotics. He struggled for years to get his research published in scientific papers or accepted at conferences, and he's convinced it's because so many of his peers were making too much money in ongoing ulcer treatments. Antibiotics are now accepted as the first line of treatment for these ulcers, but think of all the people who suffered unnecessarily over the intervening years, while the fat cats protected their income at the expense of the public. Marissa, thank you for providing me an alternative I didn't know existed. I don't like messing around my eyes, even to put in soft contacts, so this may not be the option for me. What AMAZES me is that there has been this option all along that I knew nothing about! I suspect that is because anyone who can make money off of procedures (doctors, clinics, advertisers, laser manufacturers, etc.) to correct vision has much more interest in promoting the more expensive LASIK and other laser procedures. This suggests to me that effective but less expensive medical options / procedures in other areas of medicine may also suffer from lack of promotion to the public. Why prescribe a solution for $100 if you can make $2,000 or $10,000 instead? And as with The Ortho-K, these options may be attacked without any real basis by the medical profession, interested in retaining maximum profits for their more expensive treatments. VibrantViews - did you read the article! That's exactly the reason I went for the non-surgical alternative (Ortho-K). Ralph, I've been itching to respond to your comment but have had problems posting comments on some Hubs for months! 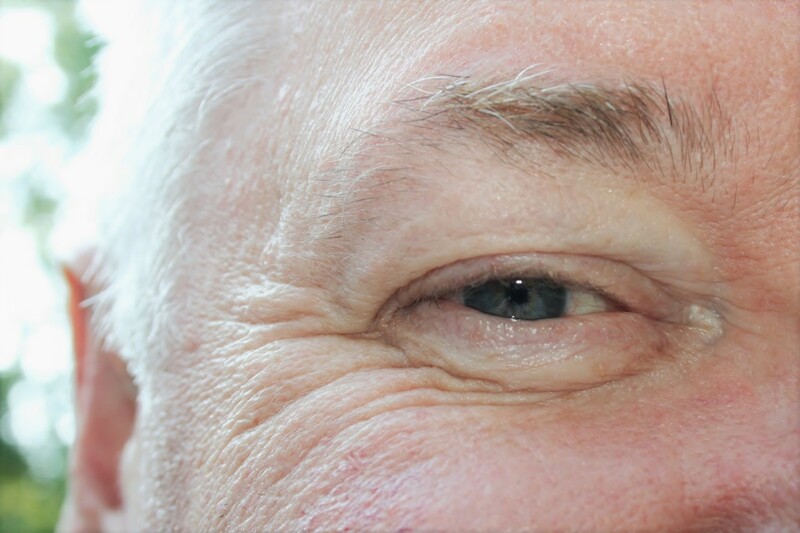 You are absolutely right, if you have the surgery, it's likely you will need further operations as you age, if you want to avoid reading glasses. I've seen many people still need at least reading glasses after their surgery. So might want to keep that fact in mind. And risks - -don't make light of those! Several years ago at an aunt's funeral I met one of my cousins for the first time. After learning that he was a professor of ophthalmology I asked him why he was wearing glasses rather than having lasik surgery or wearing contacts. His reply: Why would I want to undergo the annoyance of contact lenses and the risks associated with contacts and lasik surgery when eyeglasses correct my vision to 20-20 and offer the added benefit of safety glasses? Another issue I've wondered about with corrective eye surgery, aside from cost and risk however minimal, is whether changes in your eyes would reduce the perfection of the correction over time. I've worn glasses for nearsightedness since the fifth grade and regularly had prescription changes every 2-3 years since then. Why would that not be the case with lasik surgery? I've never gotten a definitive answer to that question. 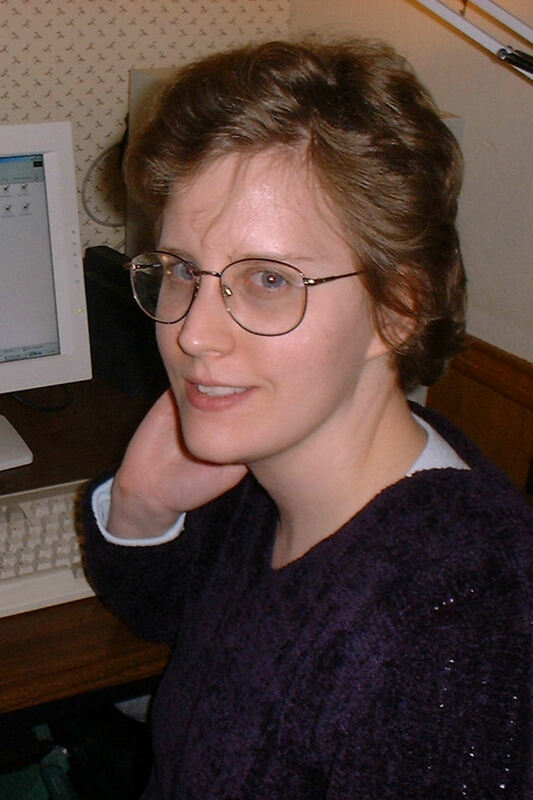 And long ago I got used to wearing glasses (the weight, quality and durability of which have improved greatly since I started wearing them many years ago). I'm absolutely terrified of something going wrong with the surgery and left with a doctor's sorry=we-tried-our-best! This sounds like a good alternative. It's great to hear about these from someone who's tried them. I would be terrified to let anyone near my eyes with a laser (or anything else for that matter). I've also given up on daytime contact lenses due to sensitive eyes. Ortho-K sounds like a great alternative.